Congratulations to Dr. Anne Good on organizing another successful Culture Fest. 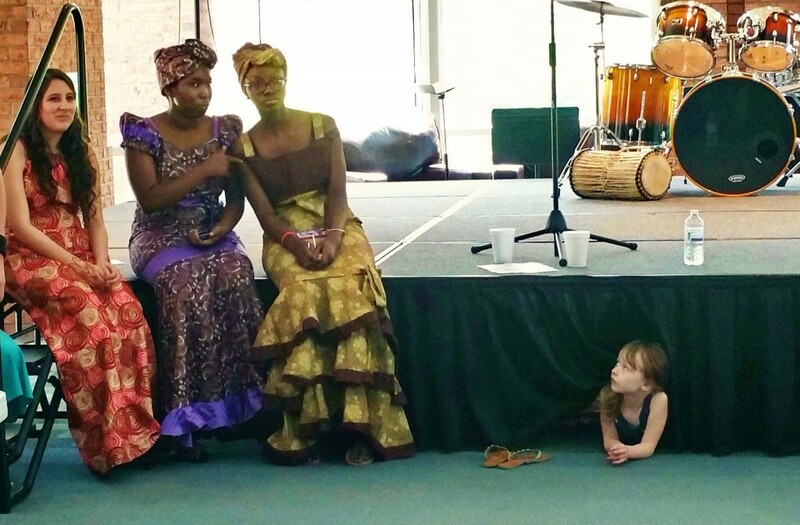 This year’s celebration took place yesterday in the Glass House, and featured exhibits on some forty different countries, music, food, and fashion. 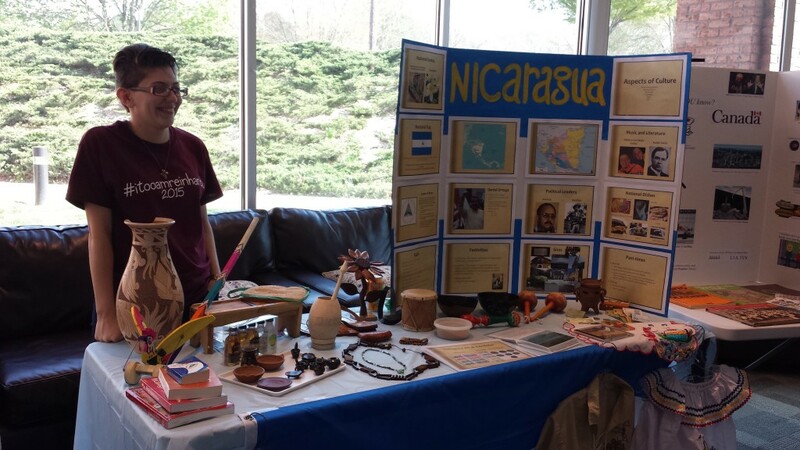 Melissa Martinez at the Nicaragua booth. Photo: Anne Good. Judith Good admiring three fashionistas. Photo: Pam Wilson. This entry was posted in Africa, Fun, History Program, Reinhardt, Reinhardt Students by jgood. Bookmark the permalink.